Social Security, Medicare promises made, but how can they be paid for? 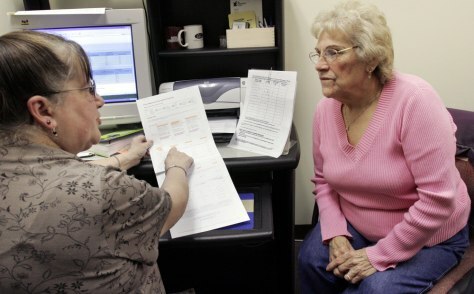 Caren-Marie Bowman, left, helped Pauline Chase, 78, sign up for her Medicare Part D prescription plan in Concord, N.H. in 2006. The plan added hundreds of billions of dollars to future tax burdens.